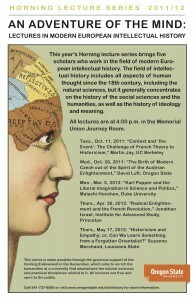 An Adventure of the Mind: Lectures in Modern European Intellectual History (2011-12). 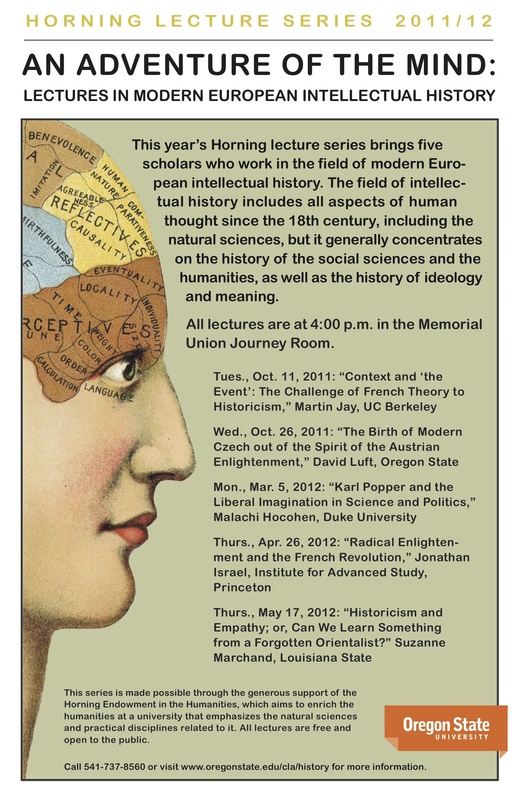 This series brought five scholars who work in the field of modern European Intellectual history to OSU to speak on themes such as the Enlightenment, Orientialism, Karl Popper, and Historicism. The Speakers were: Martin Jay, David Luft, Malachi Hocohen, Jonathan Israel, and Suzanne Marchand. 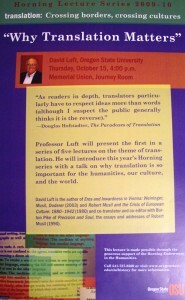 This series brought key theorists and practitioners of translation to OSU to talk about this vital, but sometimes overlooked aspect of the intellectual world. The series brought experienced translators and theorists who emphasized the role of language in our lives and the way translation brings other cultures to us. The Speakers were: David Luft, Michael Henry Heim, Lawrence Venuti, Burton Pike, and Suzanne Jill Levine. More information about this series can be found HERE. 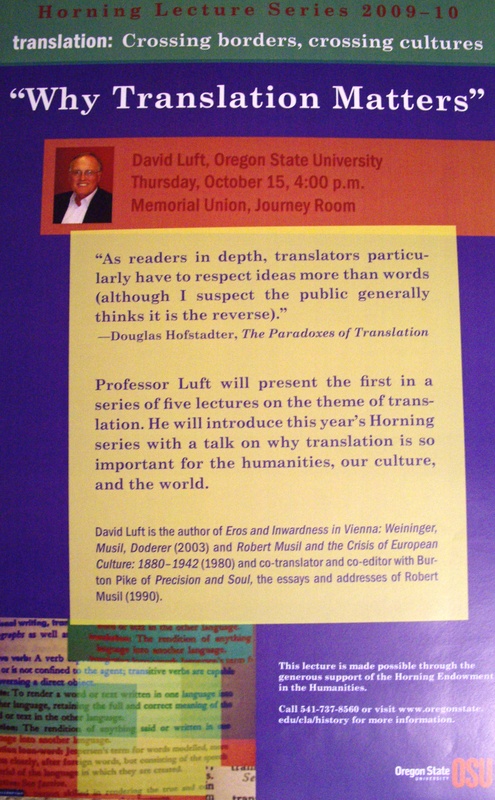 This entry was posted in Events and tagged David Luft, Events, horning, intellectual history, translation. Bookmark the permalink.